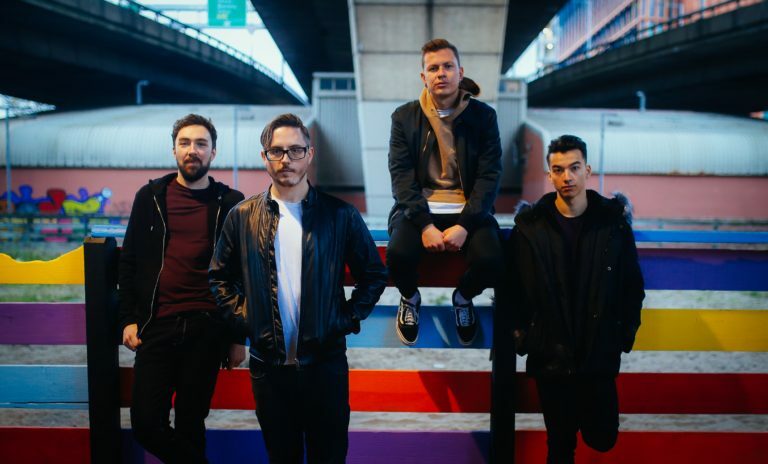 Since forming in 2017, London based 4 piece Plain Sails have exploded on the live music circuit with their powerful and emotive brand of alternative rock. The deeply personal subject matter and cutting lyrics are balanced beautifully with piercing melodies and soaring, relentless moments in an energetic yet touching sound which draws upon a plethora of eclectic influences cut with a compelling current edge. Their current single ‘All The Lights’ personifies their sound in its dark, brooding build to explosive, anthemic choruses and “is an impressive flex of the band’s musical muscles, full of atmosphere, power and adrenaline” – www.rgm.press. It follows the success of previous singles ‘To The Moon’ which gained airplay with BBC Introducing & Northern Quarter Radio and ‘Carousel’ which again pulled in rave reviews and radio play. In the last 6 months the band have released 3 singles, played to large crowds in venues such as The Dome (Tufnell Park, London) and the O2 academy (Islington, London), supported a touring band from Germany, been shortlisted from 5000 acts across the country to just 10 for a slot at the Isle of Wight festival, headlined a stage at Camden Rocks festival and embarked on shows outside of the capital, garnering rave reviews from industry tabloids and radio presenters alike. With a recent full live interview on Soho Radio to showcase our songs and influences and a confirmed support slot with Toploader at the O2 Academy Islington early in the new year there’s a lot more to come in 2019.